Sternfeld, Lior B. 2019. 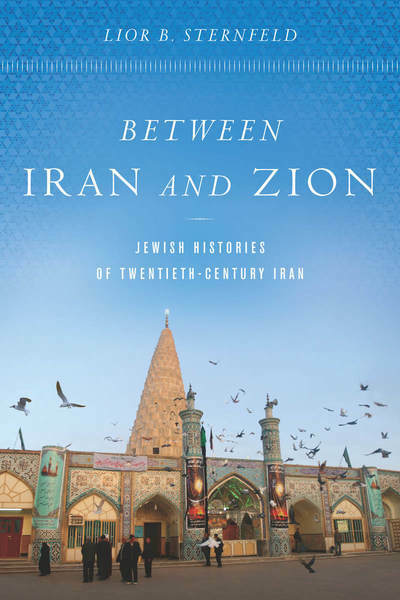 Between Iran and Zion: Jewish histories of twentieth-century Iran. Stanford, California: Stanford University Press. Iran is home to the largest Jewish population in the Middle East, outside of Israel. At its peak in the twentieth century, the population numbered around 100,000; today about 25,000 Jews live in Iran. Between Iran and Zion offers the first history of this vibrant community over the course of the last century, from the 1905 Constitutional Revolution through the 1979 Islamic Revolution. Over this period, Iranian Jews grew from a peripheral community into a prominent one that has made clear impacts on daily life in Iran. Drawing on interviews, newspapers, family stories, autobiographies, and previously untapped archives, Lior B. Sternfeld analyzes how Iranian Jews contributed to Iranian nation-building projects, first under the Pahlavi monarchs and then in the post-revolutionary Islamic Republic. He considers the shifting reactions to Zionism over time, in particular to religious Zionism in the early 1900s and political Zionism after the creation of the state of Israel. And he investigates the various groups that constituted the Iranian Jewish community, notably the Jewish communists who became prominent activists in the left-wing circles in the 1950s and the revolutionary Jewish organization that participated in the 1979 Revolution. The result is a rich account of the vital role of Jews in the social and political fabric of twentieth-century Iran. Lior B. Sternfeld is Assistant Professor of History and Jewish Studies at Penn State.